Columbia Credit Union came to Gravitate seeking more than just a fresh coat of paint. Sure, refreshing the aesthetics and creating an intuitive, responsive design were clearly priorities, but in fact, our goal was to create a secure, easy-to-navigate, feature-driven site that makes us all want to switch banks. Our process begins with the client. 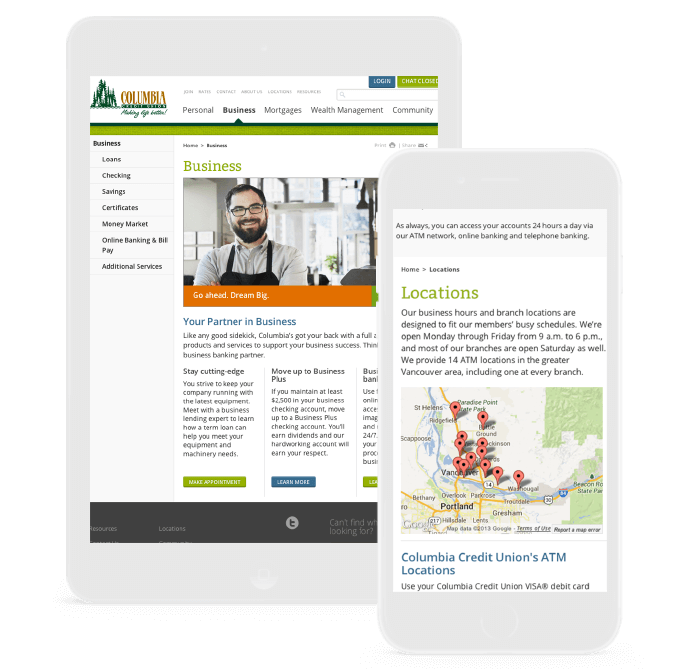 Columbia Credit Union was well aware of its clunky menus, outdated style, and generally poor user experience. Through client discussions and lengthy internal strategy meetings, we began to craft the site’s architecture. We considered the complexity of the site, and each page was mocked up, scrutinized, streamlined, then wireframed. Our detailed, iterative process and attention to user experience ensured a clean, intuitive flow throughout the website. With the initial direction of “retain the natural brand tones while revitalizing the palette,” our designers began their work creating moodboards (not specific design elements but rather visual indicators of the site’s tone and feel). Columbia Credit Union was thrilled with option two based on the bright, clean feel and the age of its target audience. 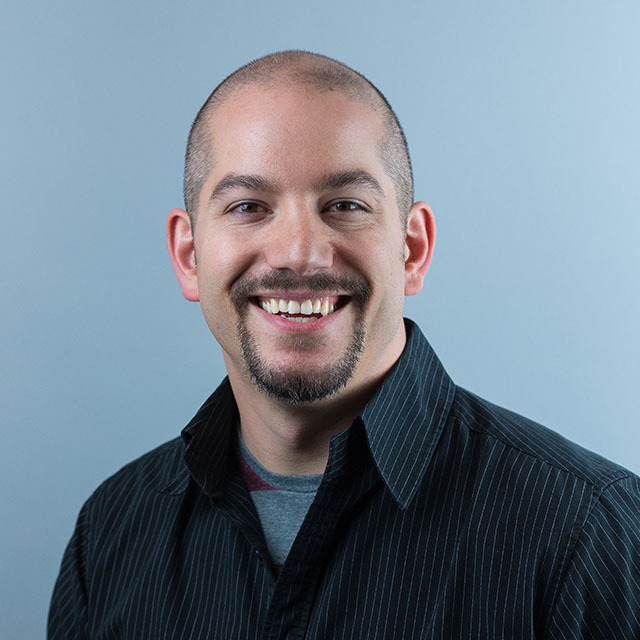 As mobile web browsing continues to eclipse desktop surfing, it becomes apparent that building specific apps for the major mobile platforms is an arduous undertaking. Why not build a website once and have it work seamlessly across thousands of different screen sizes? You could check your balance from your phone, calculate mortgage payments on your tablet—ok, we’ll stop. You get it. 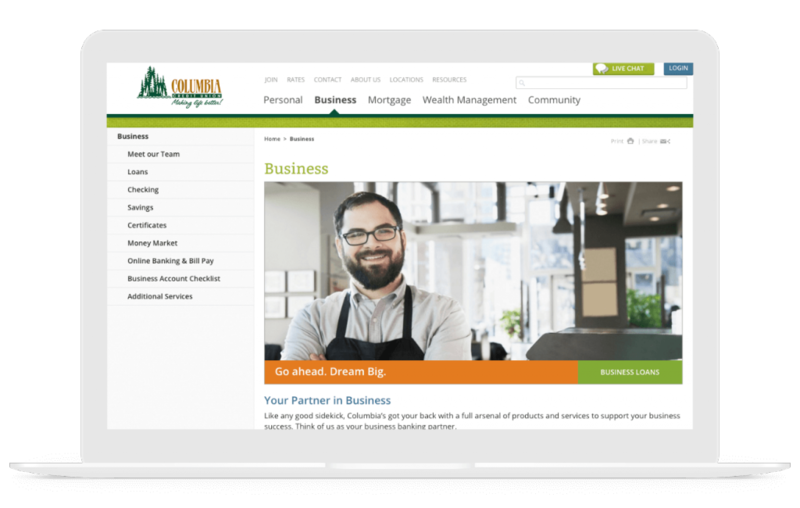 Columbia Credit Union values its local community and needed an organized space in which users could easily find and digest the vast amount of content continually growing every week. With that in mind, we whipped up a polished community section that intuitively guides users to blogs, news articles, important financial news, reports, and more. Gravity Forms is an extremely useful plugin for WordPress. It gathers data from contact forms and stores that information in a database. Gathering e-mails, phone numbers, and even social security numbers and storing them as plain text in a database is clearly risky, especially on a banking website. Therefore, we custom built the Gravitate Encryption Plugin (available for free), which allows developers to choose from four security methods to secure client data. Here’s where we could ramble about encryption methods and the amazing WordPress community, but instead, why don’t you check out a blog that the plugin’s developer wrote or the actual plugin at WordPress.org. 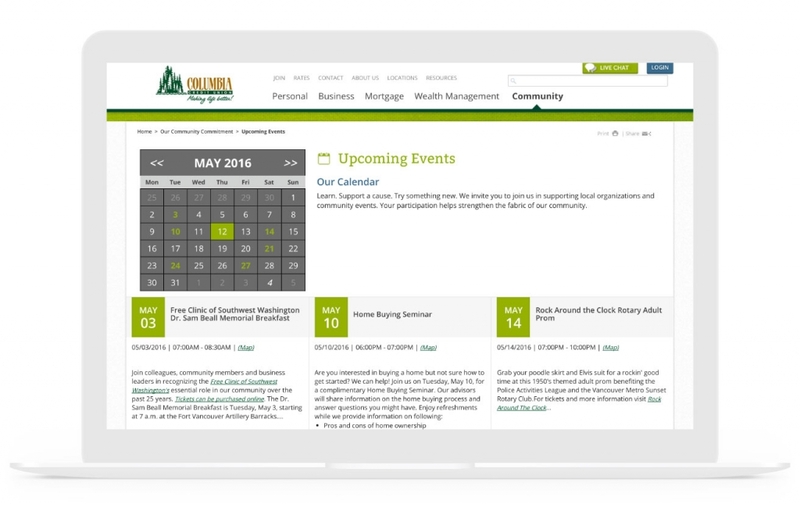 Updating Columbia Credit Union’s online presence meant more than providing a new color scheme. We developed an online banking platform that allows users to intuitively navigate the site, manage money online, and keep in touch with their community. 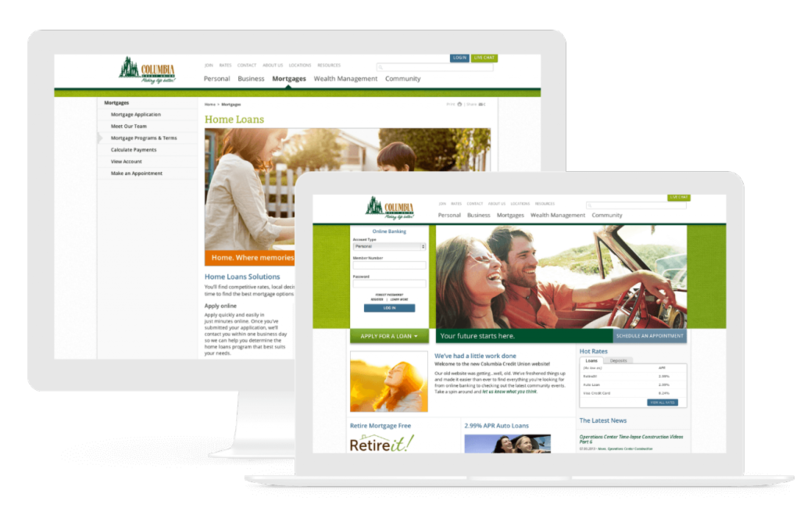 We took the time to create customized, intelligently designed solutions to allow versatile, friendly usability while meeting the required, exacting security policies that banking websites mandate.